I know I wasn’t the only one blown away by how amazing Anthem’s trailer looked the Microsoft Press Conference during E3 2017. Running on the Xbox One X, the game looked visually stunning and the gameplay seemed really tight and snappy. The third person shooting, abilities, and the traversal gave off the sense that this might be the game that can give Destiny some tough competition. And with Bioware’s storytelling prowess, Anthem might actually deliver on Destiny’s original promise. However, the game looks poised for an imminent downgrade. Even with Bioware’s experience with the Frostbite engine, the trailer looked heavily directed and tailored to show the game at its best. While I do want to be hopeful that Bioware will actually deliver at Anthem’s launch the same level of graphics as shown in the trailer, it is highly unlikely that current gen consoles (base Xbox One and PS4) or even their more powerful counterparts will be able to power such visuals. The PC is obviously capable, as long as you throw enough GPUs at it, but given how consoles are usually what most AAA developers optimize for, the likelihood of us seeing a downgrade is pretty high. Some of the storm effects shown towards the end of the trailer reminded me of the wind flares from Gears Of War 4. And that was the best that a first party team could do for an exclusive title on the console. For a linear single player campaign. 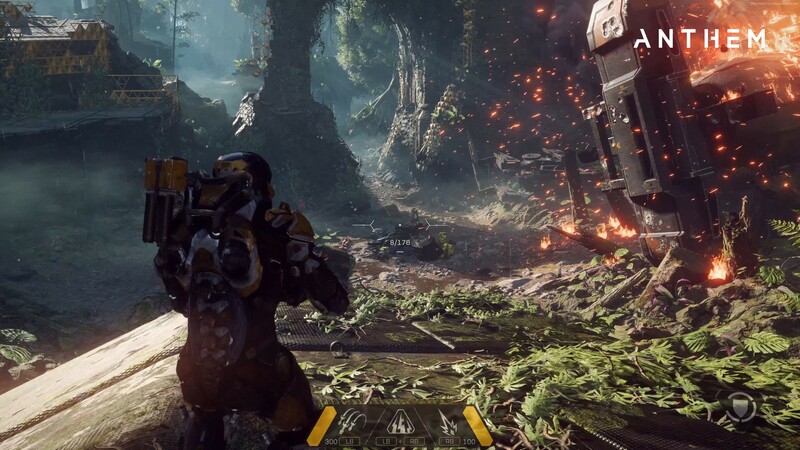 Anthem is an open world game with social elements, where the world will be shared with other players playing alongside you. That’s not to say that Bioware is deliberately trying to deceive the audience. What we’ve seen is possibly early footage, and it’s what Bioware wants the game to look and feel like. But as the game gets along in development, and as more and more content is added to the game, some of the visual fidelity needs to be sacrificed in order to maintain stable performance. 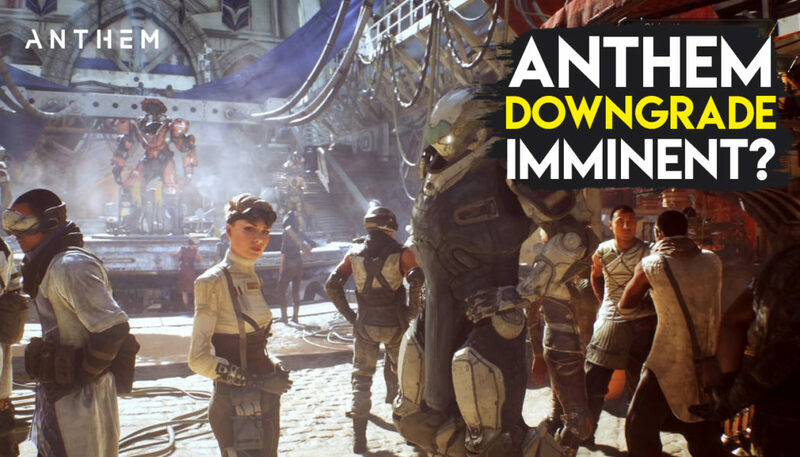 Anyways, expect a downgrade when Anthem finally launches. I can only hope that Bioware delivers its best when it comes to gameplay and narrative. So you just watched actual in game footage running on an XBOX and you don’t think consoles can handle it? I think your powers of observation are lacking. Nice clickbait and pointless arguments. Every game at E3 was heavely scripted, but its cool to kick in to Bioware in these days huh? F*ck you, sir!